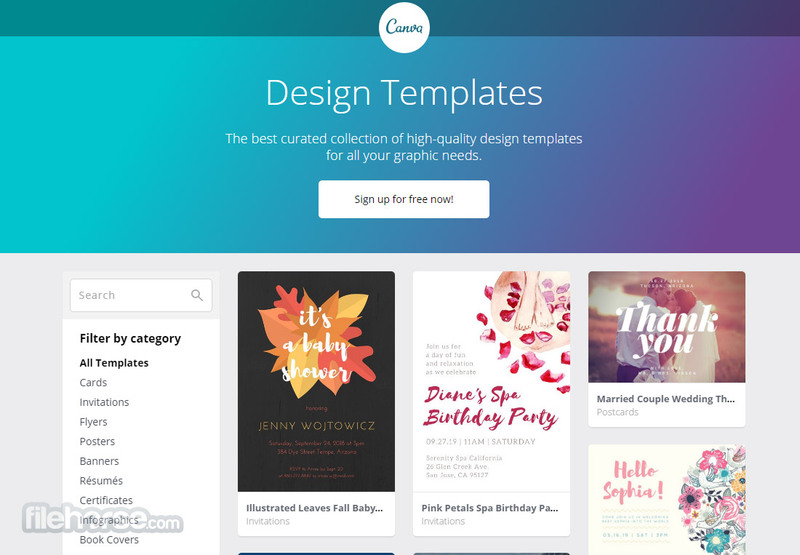 Canva makes design simple for everyone. Create designs for Web or print! 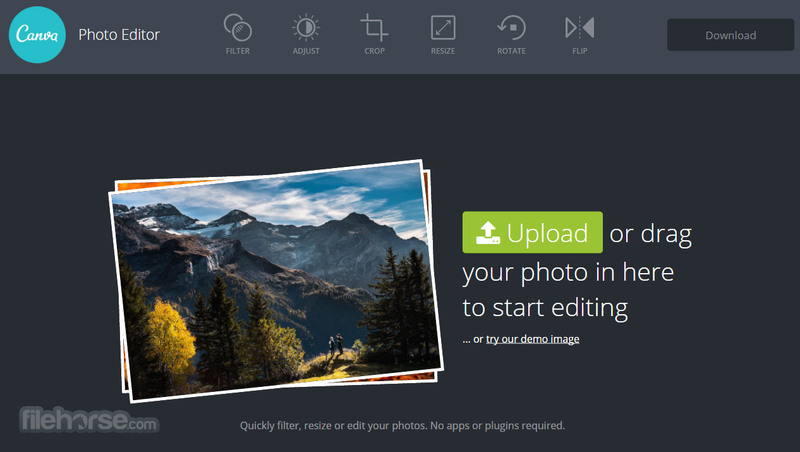 Edit photos, create beautiful designs and professional graphics with Canva. Use Canva's drag-and-drop feature and professional layouts to design consistently stunning graphics. Canva is used and loved by millions of people around the globe. Canva is Simple Online Graphic Design Software! Design amazingly simple graphics from inside stunning web editor! Graphic Design has for years been a skill that was gated away from the ordinary users not only because of the need to have experience in crafting any sort of visual elements, but because tools for any kind of graphic composition were extremely complicated and required significant time investment for users to learn more about their functions. However with the rise of the internet and cloud-powered services, developers from all around the world started creating online apps that are firmly focused on providing services that can truly cater anyone, as long as they only have computer that is connected to the web. This of course included also graphic editors. One of the best examples of such app can be find on Canva.com, an online destination that prides itself by managing to very easily serve both novices and professionals with the tremendously powerful graphic editing service that can be used to create eye-catching 2D designs with minimal effort. Canva.com is one of the best services on the web that can help you design absolutely beautiful graphics that you can use in countless occasions, and drastically simplifying the process of the document creation and showcasing to everyone who will see your work that you have eye for design. Using this app even complete novices who have very little technical knowledge about design, art or controlling computer editor application will have easy time managing their canvas, simply building on top of one idea to another, very quickly managing to create graphics that can be used in any occasion. At the core of the Canva service users are able to create graphics and stylish text that can be used in documents of standard A4 size, Presentations, Blog Graphics, Facebook cover, Social media, Business Cards, Photo Collages, Invitations, Posters, Flyers and any other size user is requiring. Entire process of the graphic design for web or print naturally has to start and end with the editor. Because of that Canva invested everything that it has into creation of the cloud-powered application that will be not only beautiful and modern, but also highly intuitive and easy to use. Simply start a new project, pick one of the themes (or a blank one) and start dragging and dropping visual elements of your choice, change their properties, enter text that supports more than 100 fonts and styles, and browse the library that holds over 1 million objects that can be inserted into your project with a simple drag & drop. Interface of Canva is outstanding, ranging from its masterfully designed main page to the editor that can be easily controlled by anyone, regardless how much technical or design expertise they have. 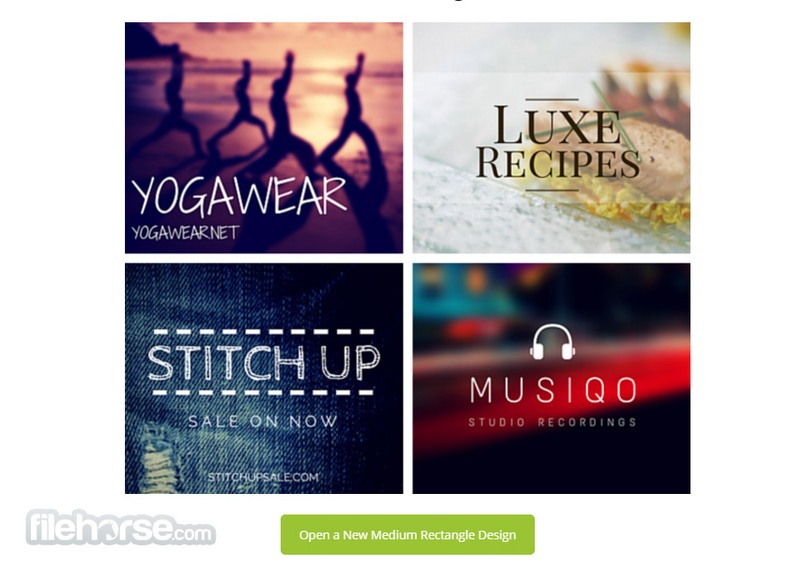 Canva is Simple Online Graphic Design Software! Editor supports simple drag and drop functions, with element and effect library that can be access on the left side of its main dashboard. Objects images, backgrounds and other graphic elements can also be easily discovered using search engine that has access to database of 1+ million objects. Canva can be used for free, although professional users can elect to subscribe themselves to premium account. With such versatility of its editor and complete focus that is placed on streamlined controls and drag & drop interface, Canva.com represents one of the best places on the web where truly anyone can spend only few minutes to create phenomenal eye-catching visuals that they can use anywhere they want. Canva is Amazing Online Graphic Design Software!